If your maintenance expired it will back-cover it (maximum 180 days) and so it will allow you to get access to newer version of Atavism if it was released in this period. If you have active Atavism Maintanence Plan (AMP) this package will extend your access by 30 days. As result when new version of Atavism will be released in next 30 days you will have access to it. If you have Atavism OP but your maintenance plan already expired for example 20 days ago, this Atavism Maintenance Plan (AMP) will back-cover your 20 days and extend your maintenance by 10 days. Maximum back-cover is 180 days and so if your maintenance plan expired 365 days ago you will be charged just 180 days in back-cover and rest will become extended maintenance if you selected 365 days atavism maintenance plan. 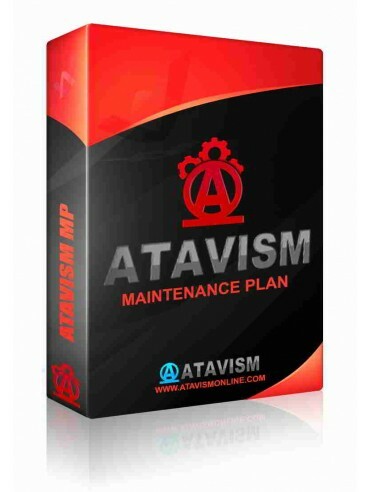 But if you ordered just 180 days maintenance plan all 180 days will be used as back-cover and will provide you access to Atavism OP software released in last 180 days. After completed purchase, the product will be instantly automatically available in your Customer Portal Panel (APANEL).